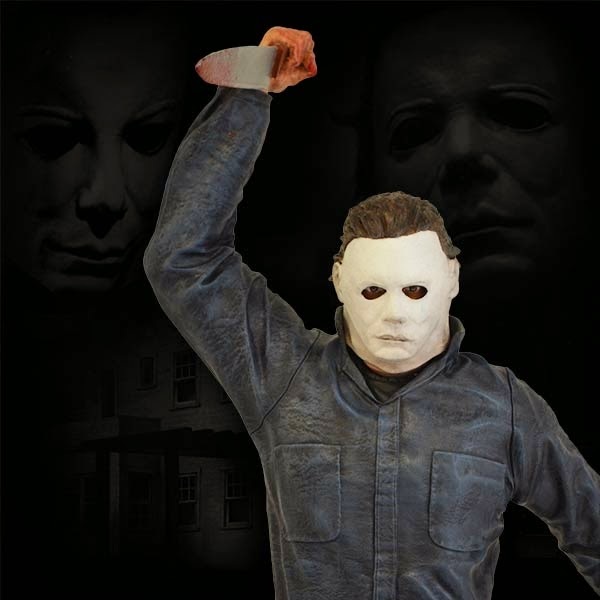 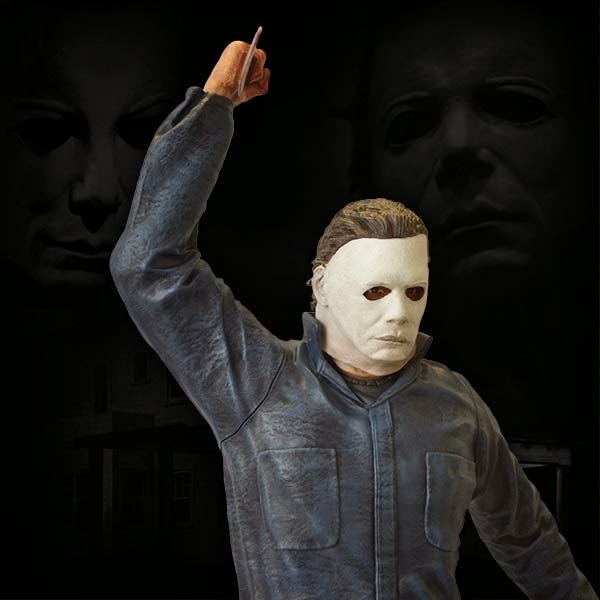 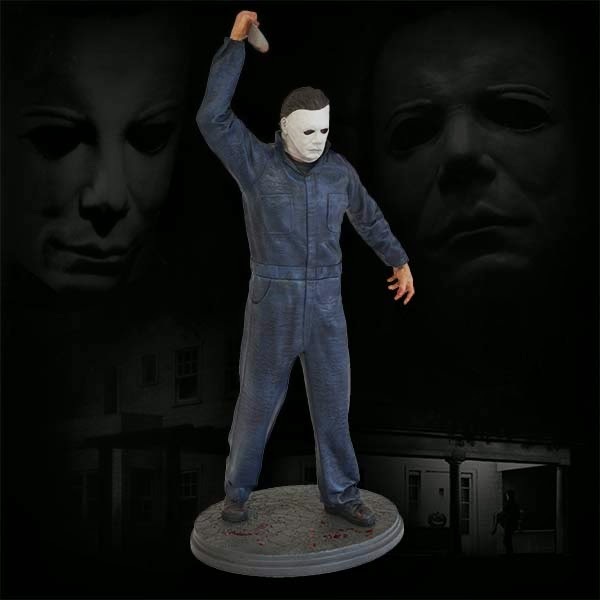 Hollywood Collectibles Announces Michael Myers Statue for 2015! 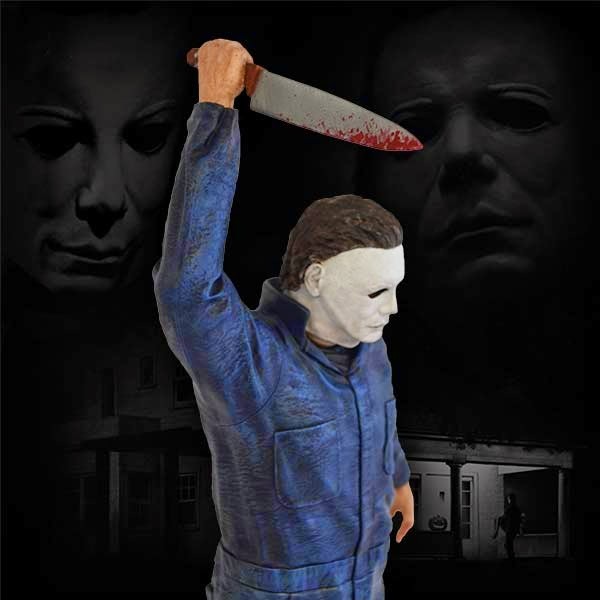 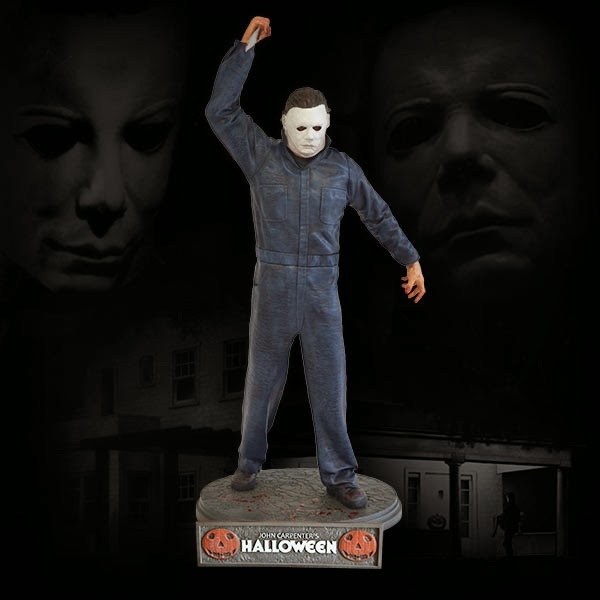 Hollywood Collectibles Group is proud to present the definitive Michael Myers statue – as he appeared in the iconic 1978 horror movie Halloween! 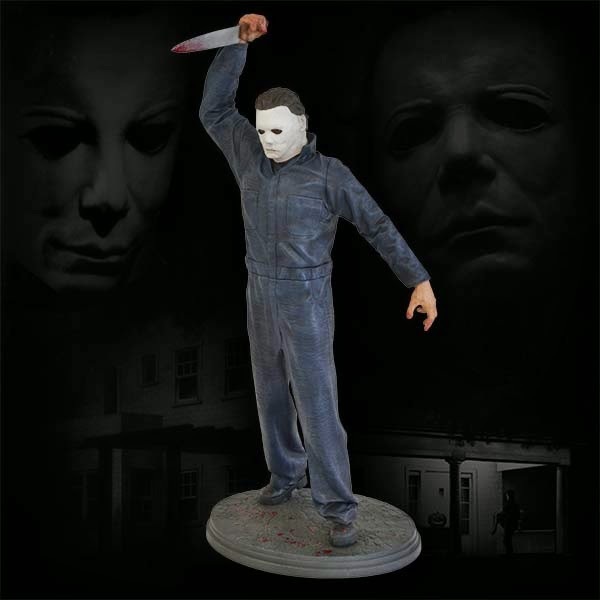 This amazingly detailed 1:4 scale statue captures the psychotic killer in classic pose – bloodied knife in hand attacking his latest victim! 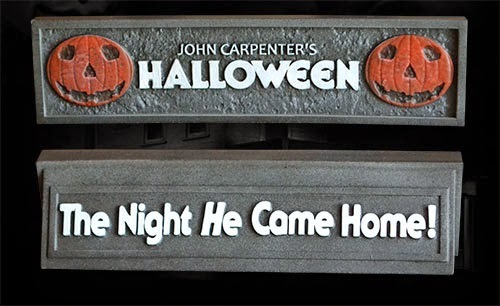 The HCG Exclusive version also includes a matching double sided nameplate with “Halloween” on one side and “the night he came home” on the other. 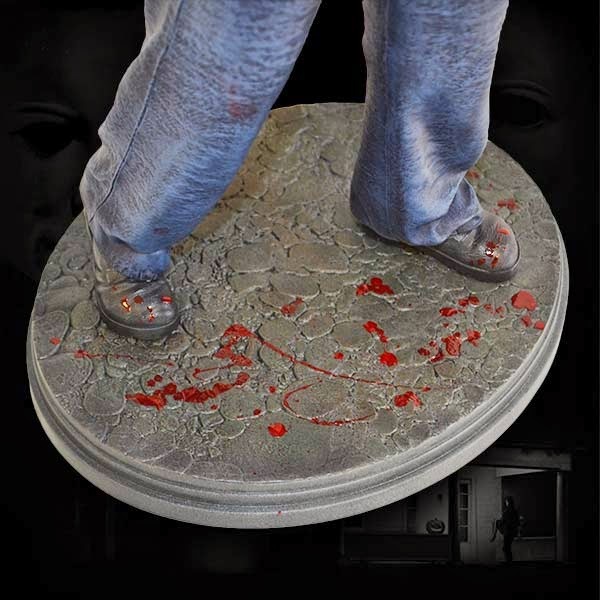 Standing a terrifying 21 ¾” tall, this incredible piece of art is constructed from heavyweight polystone and then hand painted to the finest detail. 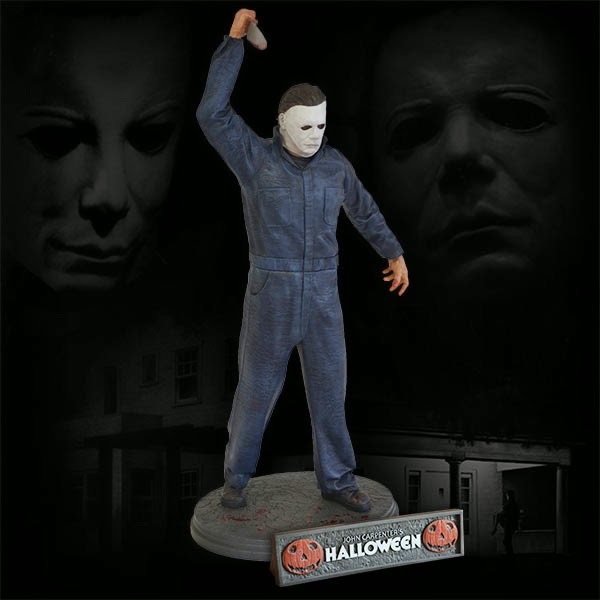 Dimensions: 21 ¾” Tall Approx. 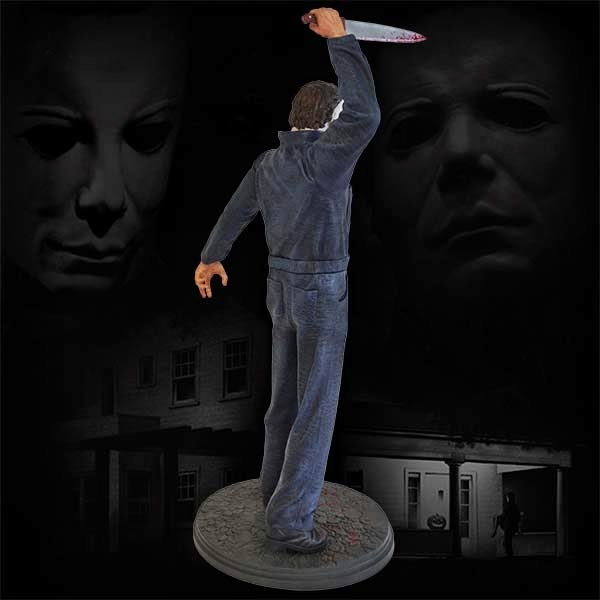 Scroll down to view more photos, and then click here to pre-order yours now! 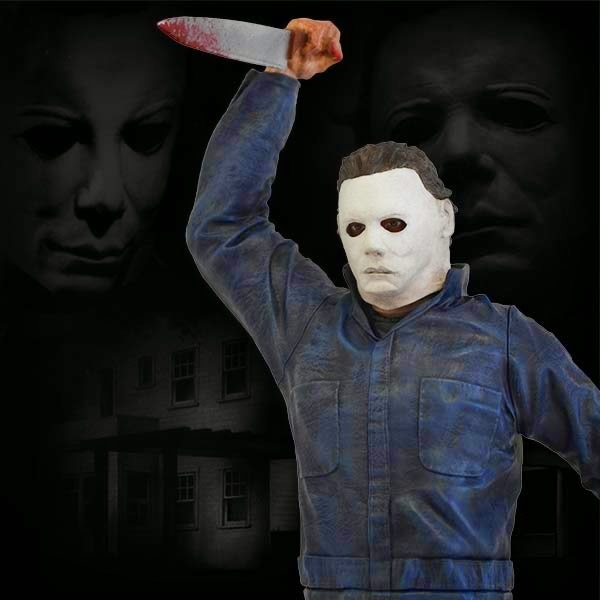 ← Jamie Lee Curtis To Star In ‘Scream Queens’ from ‘American Horror Story’ Creator!